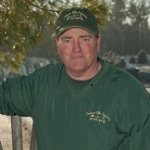 Mark founded Salmon Falls Nursery & Landscaping in 1978 with a degree in turf management and a passion for landscaping. In those 40 years, Mark’s commitment to customer service has made Salmon Falls a highly respected business in the community. 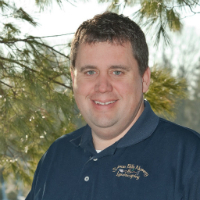 As a past president of the Board for the Maine Landscape and Nursery Association, Mark is dedicated to best management practices in the Green Industry. When he’s not meeting clients or visiting job sites, Mark loves to work in the nursery. In his spare time he enjoys spending time with his wife Karen, daughters, and grandchildren at the lake. 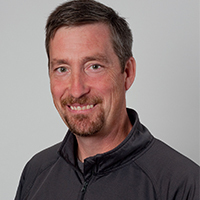 With an associate’s degree in Forest Management as well as formal architectural drafting and design training, Steve has been an asset to Salmon Falls since joining us as a designer in the winter of 2011. Steve has worked in the landscape industry since college graduation. His career started at a small design/ build firm in Saratoga Springs New York, with plenty of hands on experience. He had the opportunity to develop his design skills, working closely with the designer and managing projects. 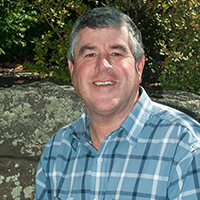 Steve has thoroughly enjoyed working on many high-end residential landscape projects across much of Northern New England, including Vermont ski country, the lakes region, and here on the Seacoast. Steve has an appreciation for fine stone building, working with natural stone and reclaimed granite. Steve grew up in Central New York, and now lives in Kennebunkport. He enjoys spending time with his family and developing the landscape and gardens at their home. A native New Englander, Jill is a seasoned landscape professional whose childhood love of the outdoors has never left. She was a welcome addition to the Salmon Falls team in 2013. Jill holds an associate’s degree in horticulture and a master’s degree in landscape design. She brings extensive work experiences as a grower, fine gardener, project manager, and designer. 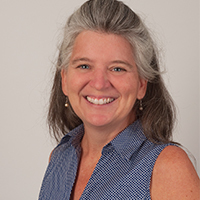 Jill is passionate about connecting the natural environment and regional character to the residential landscape designs she creates. Jill has lived in York County since 2001 and currently lives in South Berwick. Raised in Maine, and with a Bachelor of Science in Landscape Horticulture, John joined Salmon Falls immediately after graduating providing residential design and commercial estimates. Since then, he has focused on our Commercial Division, managing all bid work for commercial clients. As a project estimator, facilitator, and manager, John plays an important role for Salmon Falls’ largest division. John is a resident of Berwick. He enjoys hiking, and is the current president of the Association for Rollinsford Culture and History. With an associate’s degree in Plant and Soil Technology, Jason joined the Salmon Falls team in 1997. Starting as a laborer and then crew foreman on residential properties, He is now our Operations Manager for the Commercial and Residential divisions. Jason holds numerous industry certifications. 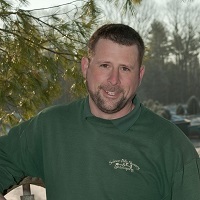 He is a Maine State First Class Landscape Arborist, and a MeLNA-Certified Sustainable Landscaper. He’s an ICPI-Certified Concrete Paver Installer and through the Maine Voluntary Contractor Certificate Program is certified in Erosion and Sediment Control BMP. Salmon Falls’ operations run smoothly with the help of Jason’s knowledge and interpersonal people skills. Jason lives in Sanford. In his spare time, he enjoys the great outdoors, but he especially enjoys cheering on his girls on the soccer field. While working as a trained chef at Berwick Academy, Shawn also worked on the mowing crew, a side job which eventually inspired him to make a career change. In 2009, Shawn was hired as the Foreman of the mowing crew at Salmon Falls. With his impeccable eye for detail, Shawn was quickly promoted to Project Manager. He now heads Salmon Falls’ Maintenance Division, managing schedules, projects, and ensuring top quality. Shawn lives in South Berwick, and is an avid softball player, hunter, and fisherman.